With a stroke of pure vocal beauty lighting their way, the unexpected musical trio of Neko Case, k.d. 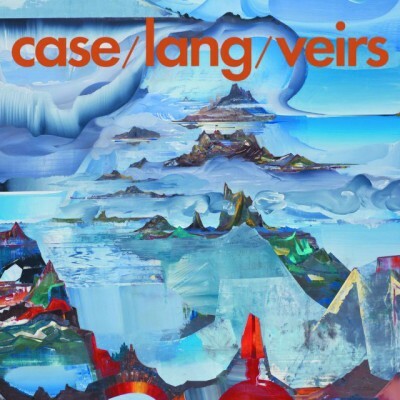 lang and Laura Veirs presents 14 original collaborative compositions as a group comprising their last names, case/lang/veirs. Responding to a simple email from lang that read, “I think we should make a record together,” the women did just that in Seattle with producer—and Veirs’ partner, incidentally—Tucker Martine (Camera Obscura, The Decemberists, REM) at the helm. The results range from a balance of torch songs, folk songs and pop songs, all dusted with a little magic on them. The plaintive and pretty Case-led “Behind The Armory” leads into the Veirs–led highlight, “Best Kept Secret,” yielding yet another catchy chorus with the ladies’ seamless vocals joining playfully together. The lang-led “1000 Miles Away” is reflective yet luminous in its expressive sadness. This subtle and random trading off of lead vocals is precisely why this project works so well. In fact, the lyrics—like all solid songwriting—offer each woman the opportunity of interpretation, and in a live setting, the potential of mixing things up vocally seems alluringly possible. There is much left to admire, including the especially haunting Case-led “Down I-5,” lang’s smoldering “Why Do We Fight” and the three voices harmonizing for the beginnings of both the pleasant “Supermoon” and the folky “I Want To Be Here.” Veirs’ lovely voice leads the closer, “Georgia Stars,” with Case and lang mixing perfectly into its singalong beauty.